Especially for honeymooners, and those desiring ultimate privacy, Hideaway is designed for you. 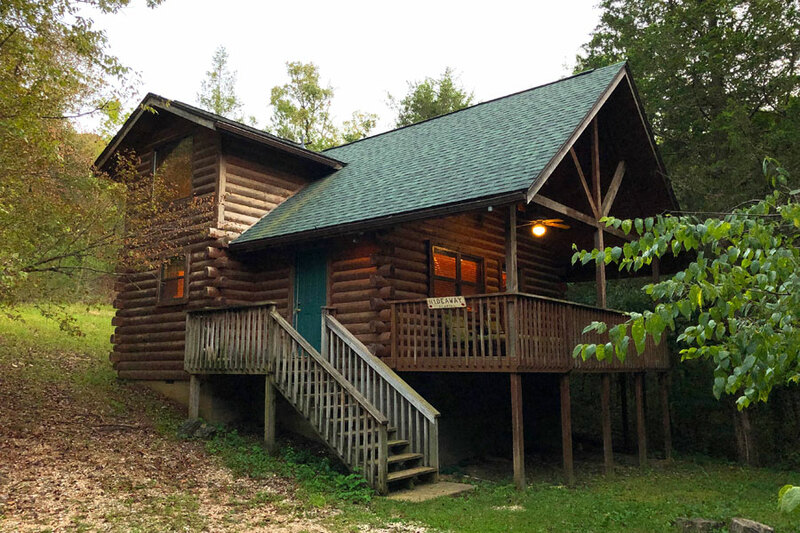 This spacious 850 square foot Eureka Springs cabin has all the right touches – lofted bedroom with a King size bed, TV, private balcony, and a 6ft-round Jacuzzi with a picture window to enjoy a beautiful tree top view during the day, and a star filled sky by night. Your living room has all the necessities: satellite TV, DVD and stereo, and for those who prefer to relax and unwind by the light of a fire, we have a gas fireplace available in the winter months. Step outside to enjoy nature from your large private deck. If you prefer to dine-in you may wish to use the charcoal BBQ grill located on your deck. 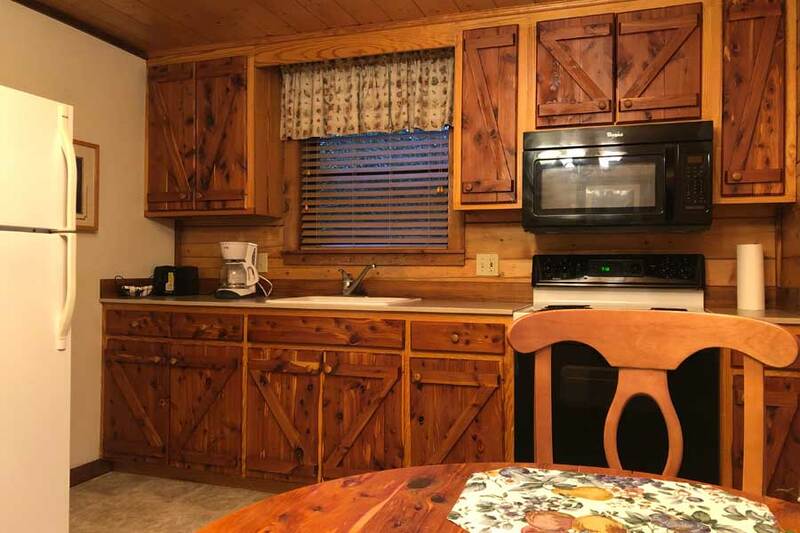 Your kitchen is fully equipped with the added touch of a picture window by your dining table. 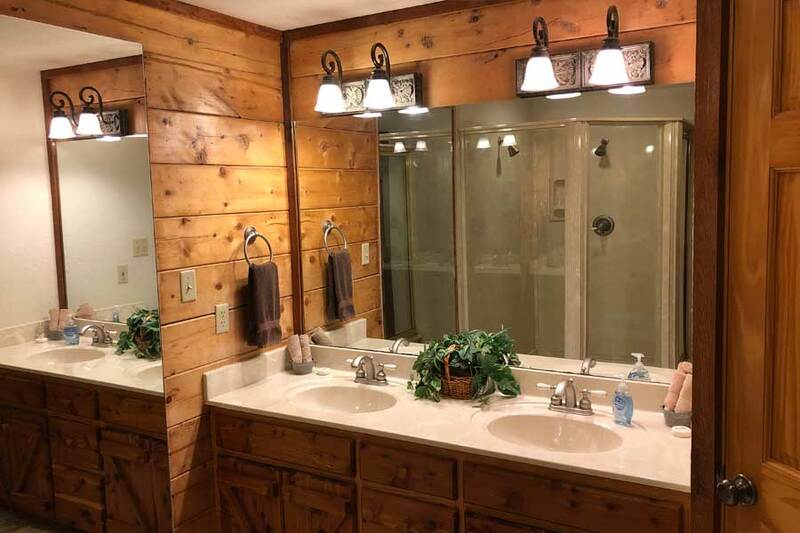 Finally, the spacious bathroom has a beautiful 4 by 5 marble shower for two and large vanity with double sinks.